What paved the way for Jesus to perform His first miracle? An invitation: “Now both Jesus and His disciples were invited to the wedding” (John 2:2). Jesus had just been baptized three days prior to the wedding in Cana of Galilee. As He rose up out of the water, the Holy Spirit descended upon Him like a dove and the voice of God Himself thundered down from heaven with the acknowledgment, “This is My beloved Son, in whom I am well pleased” (Matt 3:17). That event marked the beginning of Jesus’ earthly ministry. But an invitation was the necessary precursor to His first miracle. If the host hadn’t invited Jesus and His disciples to the wedding, Jesus wouldn’t have been there. If He hadn’t been there, He wouldn’t have turned water into wine. If he hadn’t turned water into wine, the wedding in Cana of Galilee wouldn’t have been the site of His first miracle, and all the guests would have missed out. The invitation preceded the miracle. If we want to see the Holy Spirit moving through whatever we are doing, we have to invite Him. If we are expecting Jesus Christ to do something miraculous in our situation, we have to invite Him. If we covet God’s divine orchestration over an outcome, we have to invite Him. Are you inviting Jesus Christ into every part of your life? For the past few weeks, my wife and I have been trying to catch a mouse in our kitchen. The unwelcome rodent managed to eat the peanut butter in the traps without setting them off. Each night, I would set traps in different ways, thinking a new technique might rid my house of the rodent. And each night the mouse would eat the bait without springing the trap. He even taunted us by depositing rodent pellets on the trap itself. Last night, his little mousey luck ran out. At 4:00 am, I heard a snap from the kitchen. I smiled and went back to sleep. In the morning, I went to see my prize. To my surprise, the trap was missing. Did my wife get up in the night and remove the carcass of the slain beast? Highly unlikely. That is what husbands are for. I looked around and saw the trap on the floor by the refrigerator. I pulled it away from the fridge and found the still-living mouse, caught by the tip his tail. He had been stuck there for hours. A grim notion crossed my mind: the mouse could have gnawed the tip of his tail off and been freed. It would have been painful and difficult but he would still be alive. Instead, he experienced the wrath of an angry daddy. How dare he move around freely in a room where my children eat? Jesus said, “And if your right eye makes you stumble, tear it out, and throw it from you; for it is better for you that one of the parts of your body perish, than your whole body to be thrown into hell” (Matthew 5:29). 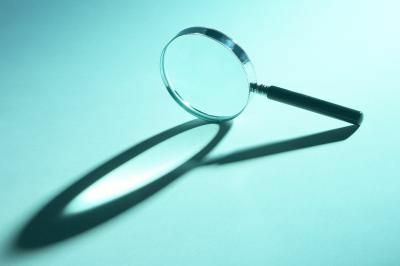 We can be shortsighted when it comes to sin in our lives. We forget that sin has only one purpose and one outcome. That purpose is to destroy your life and the outcome is death: death of dreams, death of relationships, death of joy, death of peace, and even physical death. Thinking along these lines reminded me of a story one of my old pastors told about monkey poachers in the African bush. These men would trap monkeys by burying glass milk jugs in the dirt up to the neck. The base was fairly wide but the neck was narrow. 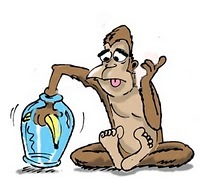 The poachers would show the monkeys the banana, then place the banana into the glass jug. With the poachers well hidden, the monkeys would come down from the trees to get the bananas. They easily slipped their little monkey hands into the bottle and grabbed the banana. However, when they grabbed the banana, their hands were clenched in such a way that they could not remove both their hand and the banana. The monkeys tried furiously to get the banana out but could not. The poachers would close in and easily net the monkeys. If only the monkeys had let go of the banana, they would have remained free with their monkey families. Man’s problem is sin. Corruption, poverty, war, cruelty, and every other evil that man experiences are all a result of the sin that lives inside us. Jesus’ death on the Cross paid not only for the forgiveness of sin but also for the power to overcome sin. Jesus gives you the ability to see that you need to let go of the banana; He also gives you the power to actually do it. Do you have dreams? Things you want to accomplish in your life that seem out of reach? When those dreams align with His Will, God wants to make them a reality. Life can be discouraging. Opportunities come and go. But God’s Word is very clear: He has a future and a hope for each and every one of us – including you. Even in periods of captivity, the Lord told His people Israel to have hope. He instructed them to make homes where they were and pray for the Babylonians – the very people who had taken them captive and crushed their dreams. He promised that after a season, He would visit His people and perform His good word toward them (Jer 29:10). He promised he would bring their dreams back to life. In the meantime, the Israelites were instructed to wait until God’s timing had run its course. Whatever you are dreaming for, do not lose hope. Never give up on your dreams. The Lord has an interminable ability to redeem time you think is forever lost. He loves resurrecting dreams you think are dead, and opportunities you think are gone for good. God’s Word assures us that there is always hope for us – and our dreams. Job 14:7-9: For there is hope for a tree, if it is cut down, that it will sprout again, and that its tender shoots will not cease. Though its root may grow old in the earth, and its stump may die in the ground, yet at the scent of water it will bud and bring forth branches like a plant. Recently, I finished the book Cold-Case Christianity: A Homicide Detective Investigates the Claims of the Gospels by J. Warner Wallace. Wallace, a now-retired Los Angeles homicide detective, shares his journey from atheism to faith in the resurrection of Jesus Christ. In Cold Case Christianity, readers may find parallels to classics such as More Than a Carpenter and Case for Christ (all written by former atheists who came to Christ after examining the evidence). What makes Wallace’s take different from the others is that Wallace explores the claims and evidences for the historical Jesus through the lens of someone who solves crimes for a living. Wallace reveals that many of the cold case homicides he worked on were solved by old-fashioned detective work. He gives readers a glimpse into the tools he uses as he analyzes homicides, and how they helped him examine the early Christian writers. Wallace lays out the evidence for the resurrection as if he were investigating a cold case. He takes the reader frame by frame and gives real world crime examples to demonstrate his thought process. One of the most interesting parts of the book is when he describes the gospel writers according to forensic statement analysis. Taking the gospel writers as witnesses, Wallace describes the subtle differences between them that only leave two explanations: either the gospel writers “worked together, writing at precisely the same time and location, to craft a lie so subtle that very few people would even notice it at all” or they wrote based on eyewitnesses’ accounts who experienced the same event from different perspectives. As an example, Matthew records that during Jesus’ trial, guards struck him and told him to prophesy who had hit him. But only Luke states explicitly that Jesus had been blindfolded during that incident. Matthew’s account does not make sense without knowing from Luke that he had been blindfolded. Wallace’s book is filled with these nuggets. Another thing that makes this book different from others in the same genre is Wallace’s research into the reliability of the early New Testament writers. This was the most valuable part of the book for me. As a young Christian, my biggest doubts centered on the New Testament’s transmission. Using the New Testament, I was confident the case for the resurrection was solid based on available facts. However, I had questions about the book that provided those facts. Had the texts been changed by later generations? How could I be sure that the Bible we have today matches that of the early church? Why should I regard the early Christian writing as scripture rather than ordinary religious writing? In section 2 called “Examining the Evidence,” Wallace examines the writings of the early church fathers and shows how the books we now include in the Bible were transmitted over several generations to the Counsel of Laodicea. He slowly but methodically builds his case using the New Testament writers, secular historians, and the early church fathers. Readers will come away from Cold-Case Christianity with a greater confidence in the testimony witnessed by the New Testament. You may want to read Cold Case Christianity if you are new to the historical evidence of Christianity, if you have had doubts about the reliability of the New Testament, or if you would simply like to have more informed discussions with people about the claims of Christianity. Jesus never ate a hamburger or a hot dog. So why does He talk about mustard so much? 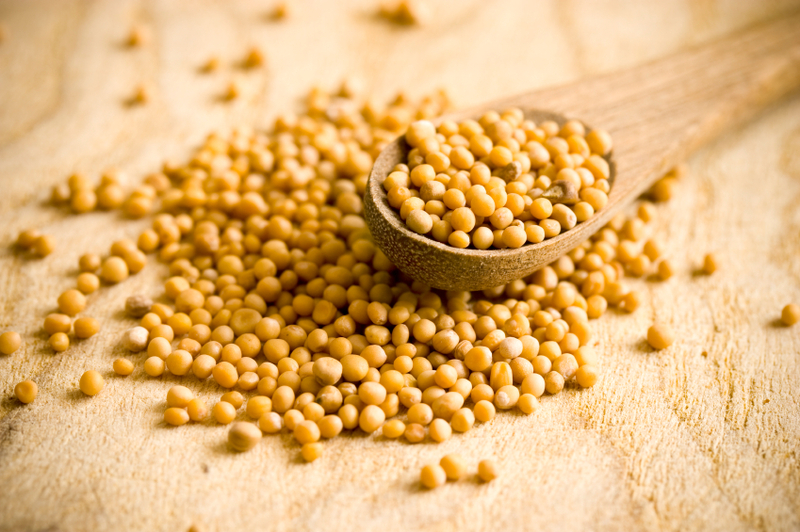 First, why did Jesus pick a mustard seed? The mustard seed is tiny, but it grows very quickly. Although a mustard seed is only 1-2mm in diameter, the wild mustard plant can grow to be over 10 feet tall. What was once a tiny seed can flourish and become a sprawling plant in which birds can build their nests (Matt 13:32). In effect, a tiny seed becomes an elaborate framework – an ecosystem which produces countless additional seeds. Second, why did Jesus even share this parable in the first place? From verse 6, we know that this story was a direct response to the disciples’ request that Jesus “increase [their] faith.” Jesus wants us to know that, through Him, we can turn the smallest of seeds into immeasurable harvests. 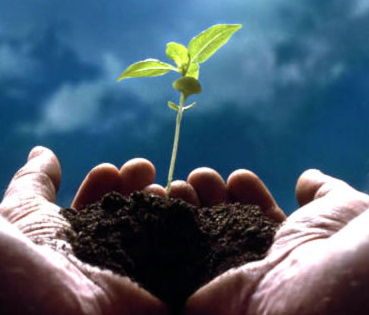 Even the tiniest seed of faith, when planted in good soil and watered liberally, will erupt into Kingdom realities which are greater than we could have imagined. To ditch the agricultural references: when we ask God for faith, read His Word carefully to determine those areas in our lives where we need to apply that faith, and then supplement that reading with persistent and passionate prayer, anything can happen. Jesus is letting His disciples know that quality of faith is more important than quantity. The disciples asked for more faith, but Jesus is exposing the reality that we need stronger, more tangible faith. All the tools we will ever need to accomplish our earthly purpose according to the Great Commission have already been crafted from the Cross and made available to each and every believer. We need faith that does not expect a reward. We need faith that encourages us to serve our Savior humbly, knowing that He will finish all the good works which He commands us to start. “For with God, nothing will be impossible” (Luke 1:37). Occasionally, my wife and I get a moment to sit down together and watch a movie. My tastes in film have narrowed in the recent years. Still, I listen to recommendations for movies, especially when they are coming from an unexpected source. One such film we watched recently was Machine Gun Preacher. I had no interest in watching this based on the title. I thought the film would either mock the Christian faith or portray a Christianity that I want nothing to do with. A pastor friend recommended this film to my wife, and she recommended it to me. Like Adam, I passively agreed to partake. Much to my surprise, I actually enjoyed the film and it’s message. 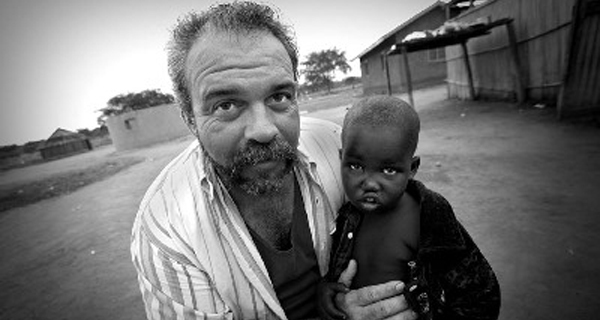 Machine Gun Preacher is a true story about Pastor Sam Childers and his work in South Sudan. The story begins with Sam’s discharge from prison. The beginning of the film weaved the classic Christian storyline of a sinner’s journey to redemption. For the viewers, redemption comes early in the film. Unexpectedly, the storyline diverges from your traditional redemption tale when the newly saved Childers takes a trip to South Sudan. While in Sudan, Sam experiences a second life-changing event. Sam experiences human depravity first hand – on a level he had not previously known. The war ravaged South Sudan becomes his life mission when he witnesses a child torn apart by a landmine. He decides to take a more active role when several children in his village are kidnapped to be made child soldiers. During this rescue, he earns the moniker “Machine Gun Preacher.” The film had an emotional depth that I did not expect. After a film, I like to talk about the themes and what the writer and director were trying to convey. This film left me feeling inadequate, much like Hotel Rwanda or Blood Diamond. There is one scene in Hotel Rwanda that haunts me. It is in the film when Paul Rusesabagina, played by Don Cheadle, gives approval for video footage taken by the reporter played by Joaquin Phoenix. Paul is pleased that the world will see the genocide occurring in Rwanda and intervene. Phoenix’s character attempts to disabuse Paul of this notion, telling him the world might see the genocide and “…will say, oh my god, this is horrible and then go on eating their dinners.” Sadly there is some truth in this. I don’t ask myself this question enough. When my wife said it, my initial thought was, “If I have another thing I need to do I am going to scream.” I paused briefly before providing my wife the answer to a question that was meant to be rhetorical. Poor thing…she has to live with me. My first answer is we are not doing enough. We need to do more for the world. My second answer is less dramatic but not less challenging. I find this in Jesus’ parable of the talents. In short, Jesus tells his disciples about a rich man who entrusted three servants with money based on their previous faithfulness. The first received five coins, the second two, and the last only one. The master went on a long journey and returned a great while later. Upon his return, he called his servants to account for their stewardship of his wealth. The first servant had invested his master’s money and doubled it. The master rewarded him with stewardship over ten coins. The second servant had also invested and doubled his master’s coins to four. The master gave him rule over four coins. Are you starting to see a pattern? No? Keep reading. Finally, the master called on the servant with one talent. This servant had buried his money in the ground. The master upbraided this “wicked” servant for failing to, at the very least, lend the talent for interest. The master took the one talent and gave it to the servant with ten. Jesus compared this story to the kingdom of God. Jesus says, “He who is faithful with the little, will be made ruler over much,” which brings us back to our question: “Am I doing enough for the kingdom of God?” The answer is found in the corollary question: “Am I making the most of what God has entrusted with me today?” We should do something for the children of Sudan or Syria or wherever the need seems to be. But, we should focus our strength right where God has placed us to get maximum impact with our measure of talent. Over time, if we continue to be faithful, God will expand our influence and capacity to affect the world in a greater way. In the parable of the talents, we often pay attention only to the servant with five coins or the lazy servant with one. Many of us may be the servant with two coins. Instead of dreaming of being the servant with five coins, we should ask how we can best use what the Master has given us. Ask yourself, “Why did the master entrust the first servant with five coins?” The children of the Sudan needed Sam Childers. 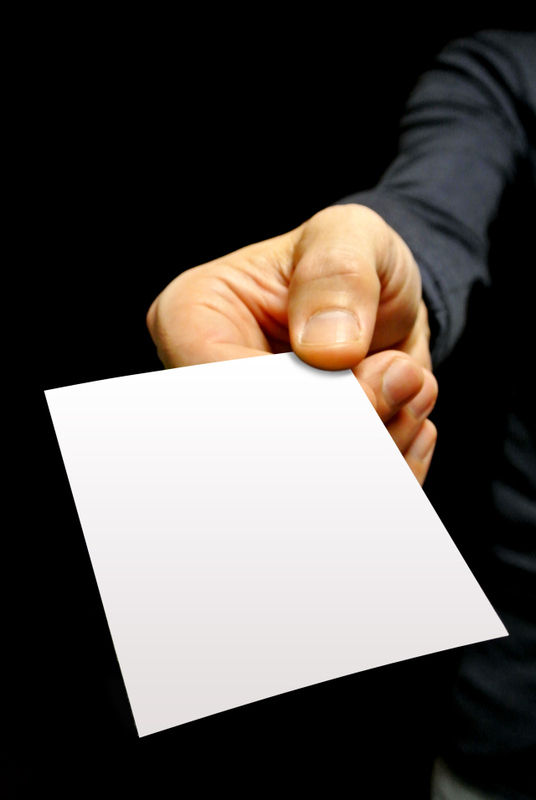 Who in your world needs you?